Mix flour, parmesan, and dried parsley. This is the proscuitto, very thin and easy to tear into the right shape for your meat. Edible just like this since it's not raw, more like a thin ham but will crisp up like bacon. Lay the proscuitto on the meat and coat with flour mixture. Add olive oil to the pan and place meat in the pan, try not to crowd so they brown and not steam. Cook on each side until golden. 3-5 mins total since meat is thin. You can cook this two ways. You can cook the meat in batches and do the sauce at the end or do 1 batch and sauce, then the second, third (however many you need) and do sauce for each as you go. I prefer to do sauce for each batch as I go. If you use a non stick pan there will not be as many bits in it as a stainless steel but I prefer the clean up from a nonstick, much easier! To make the 'sauce' add a little bit of the chicken broth ... and let it simmer a little. It will combine with the flour on the meat and thicken. It's not a heavy sauce, just for some added moisture. Tastes great served with this garlic cream sauce. Combine flour, baking powder, and salt in small bowl. then add to egg mixture, stir just until incorporated. Stir in cottage cheese (and zest if using that.) Don't mix too much as it will affect the fluffiness of your pancakes. When you flip the pancake you will see the baking powder in action and it will rise a little as it cooks. We serve with strawberry sauce or fresh strawberries and whipped cream, sliced bananas, nuts and whipped cream or syrup. Can be frozen and reheated. In a bowl, combine eggs, milk, Worcestershire sauce, bread crumbs, mustard, salt, and pepper. Add ham and pork; mix well but do not mash while mixing. Form into 9 equal hamburger-like patties and place a pineapple ring on top of each one. Place on cookie sheet that has sides. Drizzle with honey or sprinkle with brown sugar. Bake at 350 degrees for 25 minutes or until meat is cooked through. 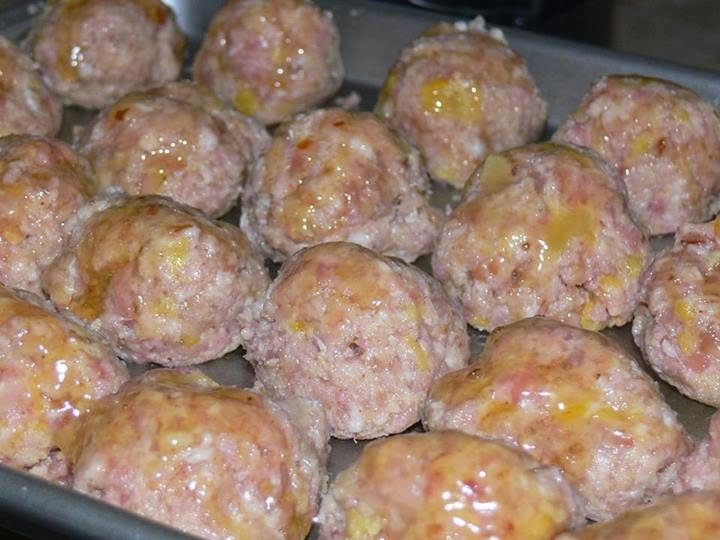 For ham balls, chop up pineapple and mix in with meat. Form balls. Drizzle with honey or sprinkle with brown sugar and bake until done. TO FREEZE....Make patties or ball and freeze on wax lined cookie sheet. After they are frozen transfer to bags. To cook, thaw and top with pineapple (for the patties) and the brown sugar or honey and bake as directed. 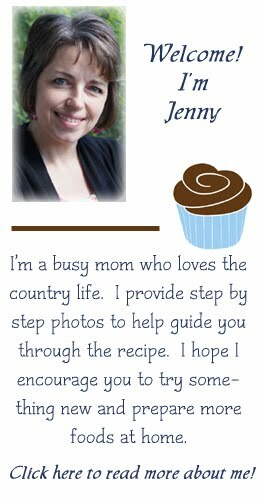 **Ham loaf meat mixture can be substituted for the ham and pork. This makes quite a bit and is great if you are serving a crowd. If you have leftovers they can be thrown in the freezer and reheated for another time. Sprinkle steak with salt and pepper. Place 3 tablespoons of the lime juice, the garlic, jalapeño, onion, chili powder, cumin and cayenne in a slow cooker. Place meat on top and cook on HIGH for 6 hours or LOW for 8 hours. Remove beef to a cutting board and when cool enough to handle, shred with fingers or using two forks. Place shredded beef in a large bowl. Strain remaining liquid in slow cooker over a bowl or measuring cup, discarding solids. Add strained liquid and remaining 1 tablespoon lime juice to beef in bowl and stir to combine. Cover; keep warm. For onions and peppers, cook in a little bit of oil with the same seasoning as your beef. I let them caramelize a little then add water a little bit at a time until they are soft. That is the way we prefer them. If you like them crunchy then don't cook them as long. We like to add red pepper, not only for color but for a little added sweetness. Warm tostada shells in the oven. 200 degrees for about 5 minutes. Spread beans, then layer the rest of the toppings on top. *If you double your meat and crock ingredients you will have some to freeze for later! Also good with BBQ sauce added to it for BBQ pork sandwiches.